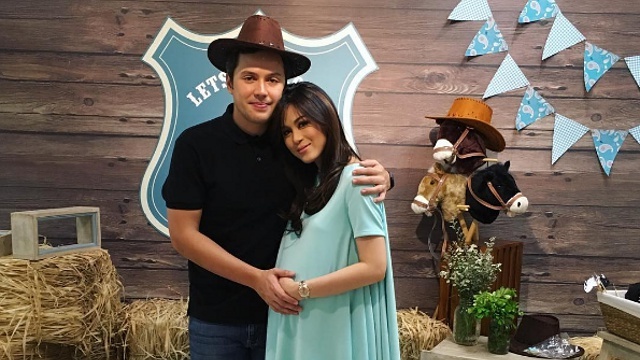 Paul Soriano shares the name of their first bundle of joy. (SPOT.ph) Congratulations are in order for Toni Gonzaga and Paul Soriano! The couple welcomed their first child early today, September 30. They have yet to post a photo of their baby, but Soriano took to his Instagram account to share the good news. They named their son Severiano Elliot Gonzaga-Soriano or Seve for short. On September 28, Gonzaga shared a photo of her baby bump (above), telling fans she was ready to give birth at any moment. The couple confirmed their pregnancy in April; they tied the knot in June 2015 after eight years of dating.